The New Wine Discipleship Year, is an exciting year of discovery and adventure for 18–24 year olds. It will set you up with strong foundations for life as a follower of Jesus; equipped, encouraged and empowered to build His Kingdom. Core New Wine teaching includes modules on Jesus, the Bible, the Kingdom of God, mission and evangelism, leadership and character development. You will also serve an internship in a local church in an area of ministry that interests you. (Internships vary depending on which local church your placement is with). We live in a world that places a high value on beautiful things. With the advent of social media, we’re seeing the dawn of a generation that is saturated with exceptional photos, captivating graphic design and authentic video content. As such, it’s crucial that Trinity engages with culture through an innovative, authentic and relevant Creative Media team. A placement with the Creative Media team will involve getting to grips with industry standard design and video tools such as Adobe Photoshop and Adobe Premiere Pro; as well as exploring how to use your creative gifts to bless the work of the local church, in proclaiming the Good News of the Kingdom and seeing lives and communities transformed. Ministry to kids is an essential part of the life of Trinity church and we try to make Kids Church a place where children are loved, nurtured, build friendships and have fun. 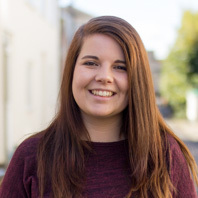 A placement with the Kids team will primarily involve getting stuck in with preparing and serving at Kids church on a Sunday morning and at other events throughout the week – helping to teach all of our 1-11 year olds that they are children of the King. Church today is a large and ever changing community. Here at Trinity, we seek to ensure that all we do is done to a high standard in a relevant way that grows the Church, all for the glory of God. At Trinity the Operations Ministry support and equip nearly all aspects of church life. Come and join us for a year of growth and development as we build a church that impacts our nation. The skills you will learn will be transferable to many different types of future jobs, so come and be stretched. Due to the nature of the role, no two days will look the same, but if you are passionate about celebrating Jesus and making things run well – this is the ministry area for you! At Trinity we want to see students meeting to worship regularly, having fun as a community, and learning more about who God is and what He has to say to them through the outworking of the Holy Spirit. We are a church that loves students and we want to do all we can to support them during such crucial years of growth. A placement with the Student team will involve assisting our Student Pastor and team as they seek to equip and empower students to live out a faith-filled life at university. Transform Ministries seek to see God’s love break out into our wider community and touch the lives of those who are marginalised, lonely, or disadvantaged. We do this primarily through King’s Table (which aims to provide a safe space for individuals to access support and community, welcoming approximately 50-70 people in to eat a two course hot meal) and The Garage (literally, a garage converted into a small homely hub, where we run our drop-in sessions). A placement with Transform Ministries will involve practically facilitating these ministries, and looking for opportunities to bless individuals, by listening, praying, and offering counsel. We believe that sung worship is invaluable to the life of a healthy church. A year with the Worship team will involve coaching, challenge and encouragement as you explore how to use your musical and leadership gifts to glorify God and lead others in worship. You’ll assist our Worship Pastor, and work alongside our team of over 70 volunteer musicians, worship leaders, sound engineers, visuals and camera operators to gain valuable, hands on experience of serving and leading with others. We love to involve discipleship year students in helping train and disciple younger worship leaders, so you’ll be mentoring as you yourself are mentored. If you’re over 24, but still interested in the Academy, do let us know. The youth work at Trinity is exciting and continually evolving. We know that our youth are at a pivotal age in their lives and it is our heart to be able to show them the adventure of living a life with Jesus. We do this through fellowship, discipleship and fostering a fun environment! A placement with the youth team will involve assisting our Youth pastor in mentoring and pastoring youth, and preparing for and facilitating our two Sunday youth meetings – ‘Boom!’ and ‘Epic’ – as well as midweek youth small groups. The 2019-20 Discipleship Year will begin on 8th September 2019, applications are now open! The fee for the year is £1000, plus the cost of an optional overseas mission trip. The fee covers the cost of all teaching, coaching and training at the centre (including all resources and materials), as well as attendance at the national New Wine Discipleship Year residential weekend away in October. Usually students ﬁnd their own accommodation and pay for their general living expenses by working part-time in casual employment. In some instances, we may be able to offer accommodation in a community house or with a host family. In this case you may be asked to give more time to serving in your placement church. There are a whole number of New Wine Discipleship Year training centres around the country, if you are unable to study in Cheltenham. Head to the New Wine website to find out more. If you feel God is encouraging you to do the New Wine Discipleship Year here at Cheltenham, simply download the application form below, fill it in, and send it to us. If you have any questions regarding the Discipleship Year, then please don’t hesitate to get in touch.